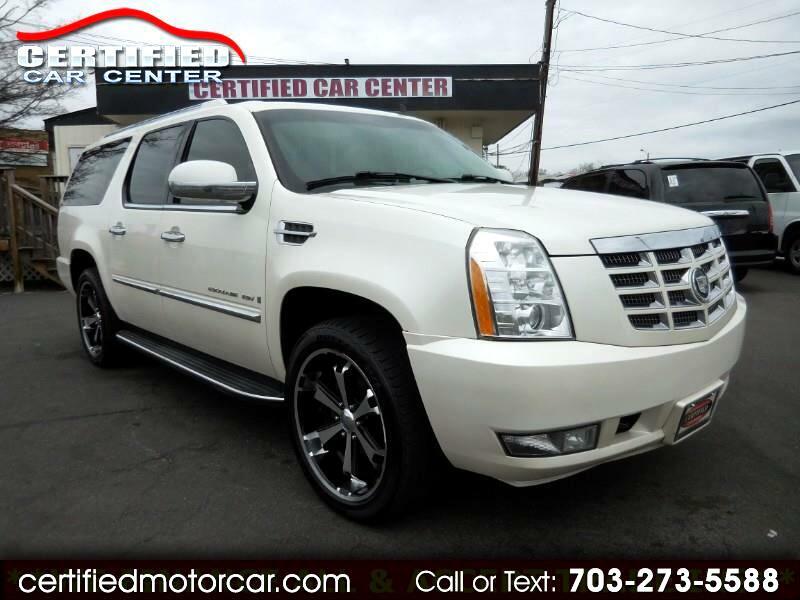 LOOK AT THIS SUPER CLEAN 2007 CADILLAC ESCALADE ESV FULLY LOADED WITH **NAVIGATION**, **BACKUP CAMERA**, **LEATHER**, **3RD ROW SEAT**, **HEATED SEATS/COLD SEATS**, **SUNROOF**, **2 TVS/DVD**, **BLUETOOTH**, **ALLOY WHEELS**, **POWER TAILGATE**, **ALL POWER OPTIONS**, **AUX JACK**, AND MORE. VA INSPECTED, FULLY SERVICED AND BACKED BY A WARRANTY AT OUR ASKING PRICE PLUS $395 PROCESSING FEE. Open Mon-Sat 10:00 to 7:30 PM and Sun. 12:00 to 4:00 PM. Internet Prices are based on cash or cashier's check. Our Internet price does not include a $395 Processing fee, Tags, title and FINANCE FEES!